At this point, you probably don't need any more reasons to buy Guns N' Roses' Chinese Democracy. But the folks at Best Buy, iTunes and Napster are giving you one anyway: free music. 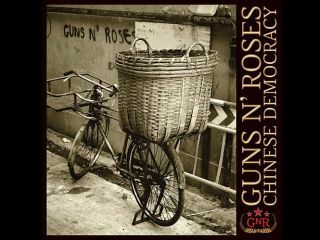 Starting this Sunday (9 November), customers who pre-order Chinese Democracy at either Best Buy, iTunes or Best Buy's own Napster will receive an immediate free download of the title track. As everyone surely knows, Chinese Democracy has been 14 years in the making. Fan reaction to the album, based on leaks and demo-sharing, has been overwhelmingly positive. And the title track has already become Guns N' Roses' most popular radio song since 1991's Don't Cry. Still haven't heard the song Chinese Democracy? No problem. You can listen to it right here.